Copper Nickel 70-30 Spool Fitting Suppling at Kuwait, ASTM B151 Copper Nickel 70/30 Spool Fittings Manufacturer at Tanzania, Copper Nickel Spool Fittings Manufacturing at Italy, Copper Spool Fittings Manufacturer & Stockist in Mumbai, India. Alpha Overseas is a supplier of Cu-Ni 70 / 30 Spool Fittings, which has good strength and toughness. 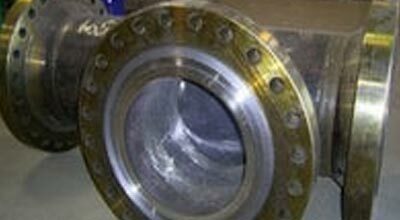 Even as established alloys, knowledge of Cupronickel 70 / 30 Spool Fittings evolves further as new applications arise, appreciation of corrosion analysis and monitoring progresses, manufacturing techniques change and engineers new to the product provide different perspectives. UNS C71500 Spool Fittings is used in oil, gas and marine defense applications where moderate-to-high sea water corrosion concern is present, for example, in high-pressure steam lines, pumps and valves. Copper Nickel C715 Spool Fittings is relatively insensitive to stress corrosion, which is however, subject to bio-fouling at low velocities. C715 Copper Nickel Spool Fittings is also often used in Sea Water Condensers, Salt Water Flanges, Valve Bodies, Salt Water Piping, Sea Water Service, Fittings, etc. The corrosion resistance of C715 Cupronickel Spool Fittings property is enhanced in polluted seawater and higher velocity waters. Cupro Nickel 70/30 Pipe Spool, DIN 2.0882 Cu-Ni Spool Fittings Suppling at Netherland, Cupro Nickel 70-30 Spool Fitting Manufacturing at Russia, Copper 70/30 Prefabricated Pipe Spool, Copper Nickel 70-30 Spool Fittings Supplier & Exporter in Mumbai India. C715 CuNi Spool Fittings falls into the moderate to poor machining ability category due to its durability. 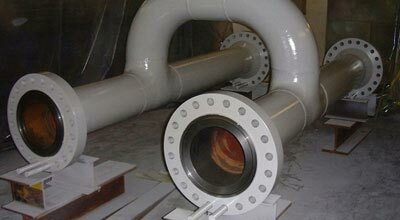 In desalination plants: Cupronickel C71500 Spool Fittings is used in heat recovery and rejection, brine heaters, and also in evaporator tubing. Cu-Ni C71500 Spool Fittings are resistance to biofouling, along with readily fabricated and weldable, which also has excellent resistance to attack by boiler feedwater, steam and fresh water. This bond in Copper Nickel DIN 2.0872 Spool Fittings forms long and hard chips that cause irreparable surface damage when machined down. We are Exporter of Copper Nickel 70-30 Spool Fittings in Worldwide Such as Kazakhstan, Yemen, Libya, Kuwait, Poland, Gambia, Belarus, Bangladesh, Mexico, Gabon, Nepal, Bolivia, Sweden, Nigeria, Russia, Bahrain, Germany, Malaysia, Peru, Denmark, Belgium, Singapore, Austria, Tibet, Iraq, Poland, Romania, Vietnam, Azerbaijan, Macau, Australia, Slovakia, Italy, United Arab Emirates, United Kingdom, Kenya, China, Serbia, Thailand, Trinidad & Tobago,Tunisia, Indonesia, Hungary, Qatar, Estonia, Iran, Bulgaria, Mexico, Saudi Arabia, Angola, Spain, United States, Netherlands, Japan, Norway, India, Egypt, Afghanistan, Brazil, Turkey, Taiwan, Argentina, Bhutan, Chile, New Zealand, Lithuania, Czech Republic, Nigeria, Iran, Finland, Costa Rica, Algeria, Oman, Venezuela, Israel, Ecuador, Colombia, Sri Lanka, Ireland, Ukraine, Namibia, South Africa, Croatia, Canada, Lebanon, Zimbabwe, Portugal, Pakistan, France, Chile, Mongolia, Switzerland, Hong Kong, Jordan, Puerto Rico, Ghana, South Korea, Greece, Morocco, Philippines. We are Suppliers of Cupro Nickel 70/30 Spool Fitting in India Such as Santiago, Hyderabad, London, Mexico City, Istanbul, Port-of-Spain, Ankara, Ho Chi Minh City, Thiruvananthapuram, Karachi, Bhopal, Edmonton, Doha, Hong Kong, Seoul, Coimbatore, Sharjah, Aberdeen, Kanpur, Thane, Cairo, Tehran, Geoje-si, Chandigarh, Vadodara, Howrah, Kuwait City, Ahmedabad, Navi Mumbai, Milan, Ahvaz, Haryana, Pune, Bogota, Atyrau, New Delhi, Jaipur, Bangkok, Chiyoda, Mumbai, Madrid, Rajkot, Perth, Ernakulam, Jeddah, Courbevoie, Gimhae-si, Caracas, Al Khobar, Ulsan, Faridabad, Gurgaon, Ludhiana, Kolkata, Jakarta, Algiers, Nashik, Secunderabad, Montreal, Indore, Brisbane, Muscat, Petaling Jaya, Hanoi, Kuala Lumpur, New York, Houston, Rio de Janeiro, Manama, Bengaluru, Visakhapatnam, Melbourne, Pimpri-Chinchwad, Riyadh, Colombo, Noida, Granada, Lagos, Lahore, Dammam, Singapore, Dallas, Abu Dhabi, Dubai, Calgary, Jamshedpur, Los Angeles, Ranchi, Al Jubail, Chennai, Vung Tau, Nagpur, Toronto, Moscow, Surat, Sydney, La Victoria, Baroda, Busan.